Inside the 140 year old former German Templar colony in Tel Aviv is the recently opened Sarona Market, Israel's largest indoor market and a haven for all foodies. The 8,700 square metres of renovated building, houses 89 food businesses all hoping to attract the culinary elite with boutique restaurants, bars, cafes and specialty food shops seven days a week. Sarona has stemmed from the inspiration of the many of the world's wonderful food markets, such as London's Borough Market, Spain's La Boqueria and America's Chelsea Market, all attracting local chefs, food lovers and tourists alike. 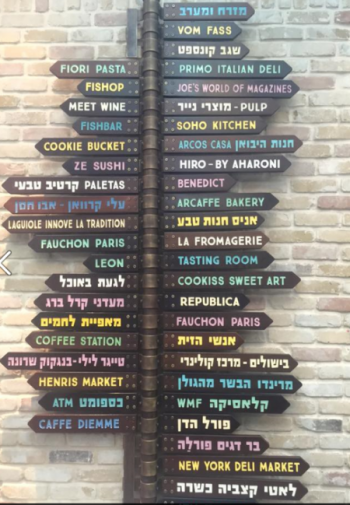 Sarona is packed with local Israeli produce, including seafood, olives and farmer's produce, as well as cheeses, pasta and patisserie from France and Italy, amongst other countries delighting in their gastronomy.